Many young people in south Wales find themselves out of education and with no employment or training. For them, this state of limbo can lead to a lack of confidence in one’s own abilities, restricting them from going out to get the right opportunities, making it difficult to choose the right path in life and avoid the wrong ones. But such youngsters’ hopes have been boosted by the Premier League Works programme run by Swansea City Community Trust. The programme uses the power of football to encourage them to gain the experience that can serve them in the wider world. "It deals with building soft skills that allows them to progress on to other courses or potentially go out and find themselves some work," said the Trust's Jack Spillets. 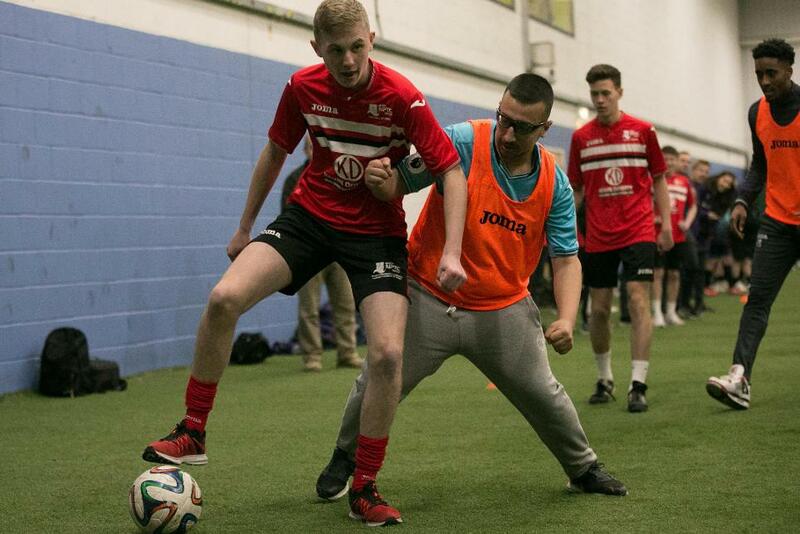 Connor Miles enrolled on the programme as he sought to improve his employment prospects and he was in a group who were tasked by the Trust with planning, organising and delivering a 'Walking with Legends' walking football tournament, featuring teams from England and Wales, at Llandarcy Academy of Sport. That they did so with success showed the benefits of the programme. "My confidence has built up a lot, it's amazing what these courses can do, I would encourage anyone to join them," Connor told swansacademy.co.uk. Being successful at coping with such responsibilities will stand the young people in good stead. "I have learnt that there are more opportunities out there, how to get there, what to do and I have gained a lot of experience that will continue to help me in the future," said another participant, Sophie Brett. Their tournament also featured some special guests as Swansea City midfielder Leroy Fer and club ambassador Lee Trundle came along to lend the organisers their support, captured by Match of the Day for their regular Premier League Community Feature. "This group did everything from catering to the venue," Spillets said. "It's running perfectly and we are really proud of them."